We’re extraordinarily stoked to finally have a coffee space of our own in WA…it has been a long time coming! What better way to celebrate this glorious occasion than by throwing a party & inviting all of our favourite people along for an espresso martini or two! To spice things up, we held a barista smackdown comp earlier in the day. We saw plenty of healthy competition between our WA cafes & their proxies. The nerves were high, with most entrants competing in their first ever smackdown but, despite the many shaking hands, they managed to put up some extremely impressive latte art on the day. It was such a tight competition but alas, there must be a winner. 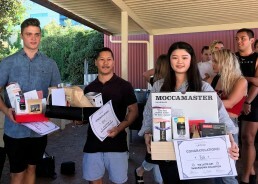 So without further ado, in 3rd place: Tyson from Paper Avenue (Joondalup), in 2nd place: Kevin from Little Way (Nedlands) & in 1st place: Eva from Riverside (Perth)! Huge congrats to the winners & all who competed on the day!! 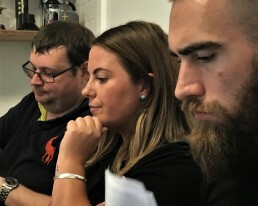 A big thanks to our judging panel; Martin (Broadsheet), Nicola (Espresso Works) & our man Josh (Locale VIC), we couldn’t have done it without you guys. We’d also like to thank the legends at Milk Lab, red+white wines & Nord Coffee for coming along & donating to the epic prize pool! Finally, to everyone who joined us for a frosé, an espresso martini or THAT cheese platter (still drooling), thanks again – we love you guys! Also, congrats to the lads from The Old Love Seat who took home the Moccamaster Classic door prize…we’re so jelly! 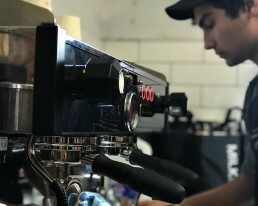 Can’t wait to have you all at the lab again soon for more coffee & chats.